Made in Canada. Ships from Canada. 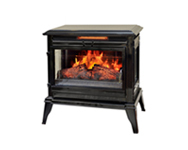 We want you to be completely satisfied with your electric fireplace purchase, so if for any reason you are not, we will refund 100% of your purchase amount should you be dissatisfied with any electric fireplace product. Within 30 days, simply call or email for return authorization number and instructions. We will ask that you return the item in the original packaging, in sellable condition. For complete details, click here. 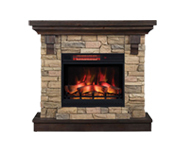 Electric Fireplaces Canada offers quality electric fireplaces at prices that are extremely competitive with other authorized sellers. If you find a better price, before your purchase, we will match that price to ensure you get the best price. The item must be available for purchase at that price from an authorized reseller, whose authorization we reserve the right to verify. For complete details, click here. Buying from someone that you trust and that manufacturers endorse is important. 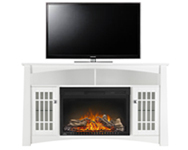 We are one of just a few certified authorized distributors of Dimplex and Classic Flame products on the internet. Authorized means that we have a direct relationship with each manufacturer regarding price, warranty and service issues. There are several unauthorized internet retailers out there, who can not guarantee your satisfaction with warranty and service issues. 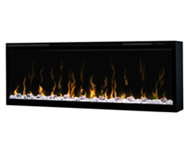 We only carry the most respected electric fireplace brands in the industry including ClassicFlame, Dimplex and Napoleon. 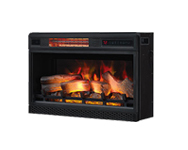 Aside from offering the most realistic electric fires available, these manufacturers provide the most significant warranties – we guarantee it. 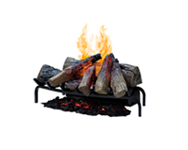 Warranties range from 1 year to 10 years depending upon manufacturer and item. You will find complete details on your product’s warranty in the ‘Warranty’ tab of that product.